Dream-house is small and cozy. The two rooms can be furnished however one wants with a variety of furniture. And everything is soon ready for Lilli, Mali and their friends to move in. 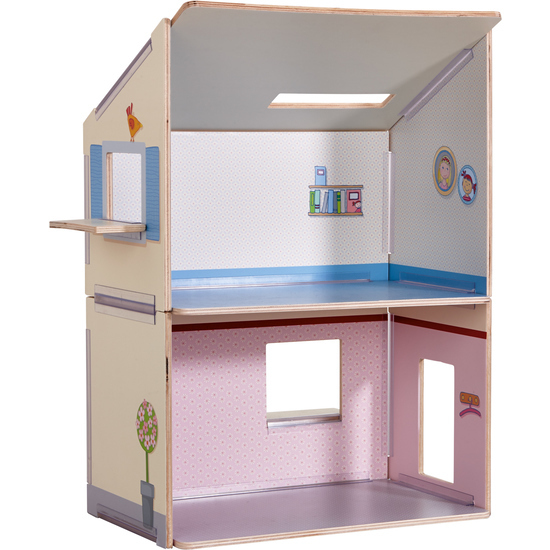 If the dolls need more space, the dollhouse can easily be expanded with the annex (300505). The printed plywood boards are easily joined together with the plastic sliders and then soon assembled.